My name is Sergey Kuznetsov, I’m a postdoctoral research fellow at Johns Hopkins University, working with Prof. James K. Guest on the computational materials design – modeling and microstructure topology optimization of complex materials to improve electrical, thermal and mechanical properties to meet demand of specific applications. Computational Solid Mechanics, Materials with Heterogeneous Micro- and Nanostructure, Multiscale, Multiphysics Modeling, Asymptotic Methods of Nonlinear Mechanics, Magneto- and Electromechanical Coupling, Waves and Vibrations, Microstructure Optimization, Rigid Body Dynamics in Force Fields, Method of Irreducible Tensors, Method of Multipole Expansions, Finite Elements Method. Yu. M. Urman, S. I. Kuznetsov, “Translational transformations of tensor solutions of the Helmholtz equation and their applications to describe interactions in force fields of different physical nature”, to appear in Quarterly of Applied Mathematics, 2013. J. Fish, V. Filonova, S. Kuznetsov, “Micro Inertia Effects in Nonlinear Heterogeneous Media” , Int. J. Numer. Meth. Engng, vol. 91(13), pp. 1406-1426, Sep. 2012. S. Kuznetsov and J. Fish, “Mathematical Homogenization Theory for Electroactive Continuum”, Int. J. Numer. Meth. Engng, vol. 91(11), pp. 1199-1226, Sep. 2012. J. Fish and S. Kuznetsov, "Computational continua," Int. J. Numer. Meth. Engng, vol. 84(7), pp. 774-802, 12 NOV 2010. S. I. Kuznetsov, et al., "Effect of periodic changes in the shape of a superconducting body on its dynamics in a noncontact magnetic suspension " Technical Physics, vol. 53, pp. 1529-1535, 2008. S. I. Kuznetsov and Y. M. Urman, "Effect of Vibrations of a Magnetic Suspension on the Dynamics of a Superconducting Spherical Rotor," VESTNIK OF LOBACHEVSKY STATE UNIVERSITY OF NIZHNI NOVGOROD, pp. 130-137, 2007. S. I. Kuznetsov and Y. M. Urman, "Levitation of a superconducting body in the field of N magnetic poles," Technical Physics, vol. 51, pp. 297-306, 2006. Urman Yu. M., Kuznetsov S. I. “Damping Effect of London’s moment on the nutational vibrations of superconducting rotor” //Transactions of VII All-Russia scientific conference “Nonlinear oscillations of mechanical systems”, Nizhniy Novgorod, 19-22, September, 2005, p. 385-387. Computational Materials Design – microstructure topology optimization of woven lattice structure to improve electrical, thermal and mechanical properties to fit specific application. Adviser: Dr. J. K. Guest. Developing homogenization methods for multiscale modeling of solids media with heterogeneous microstructure; Solving multiscale problems; Developing Fortran subroutines for Abaqus, Matlab and Fortran codes for multiscale problems. S. I. Kuznetsov, Yu. 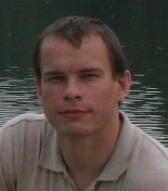 M. Urman, “The investigation of dynamics of quasispherical superconducting rotor in the field of permanent magnets”, IX-th all-Russia Congress on Theoretical and Applied Mechanics, 22-28 of August 2006, Nizhniy Novgorod. Kuznetsov S. I. “About magnetic levitation” //11-th session of junior scientists, mathematical sciences, Nizhniy Novgorod, 2006 – this presentation was awarded with First Prize.